Dubai, United Arab Emirates, May 30 2018: The sun is out, temperature is rising and the summer holiday season is around the corner. It’s now time to pack your bags and fuel up for your next getaway and Max has all you need to appear your jetsetting best. Inspired by the spirit of holidaying, the new #summertraveler collection marries style and comfort with adventure and leisure. Soft summer shades and cotton-blends throughout the Collection will keep you cool and comfortable. Ladies can choose from cargo pants to culottes and funky t-shirts to romantic tops making it easy to dress things up or down for the day. 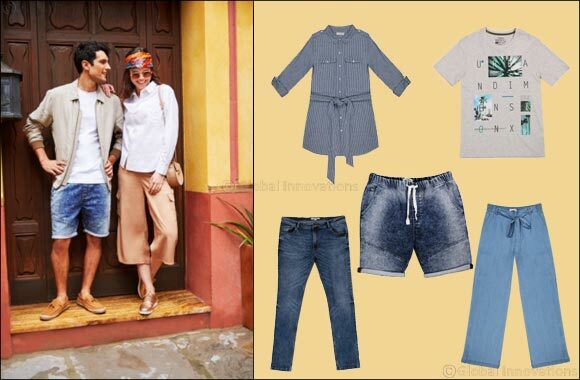 Denim shorts for men with a range of button-down shirts in a variety of solids and prints, bring simplicity and ease to the sunkissed journeys. Whether you’re roaming around exploring new places or enjoying the breeze on a beautiful golden beach, Max’s #summertraveler Collection has something for everyone.